Delicious Pancakes With Bananas And Chocolate. Royalty Free Stok Fotoğraf, Resimler, Görseller Ve Stok Fotoğrafçılık. Image 54271553. Stok Fotoğraf - Delicious pancakes with bananas and chocolate. 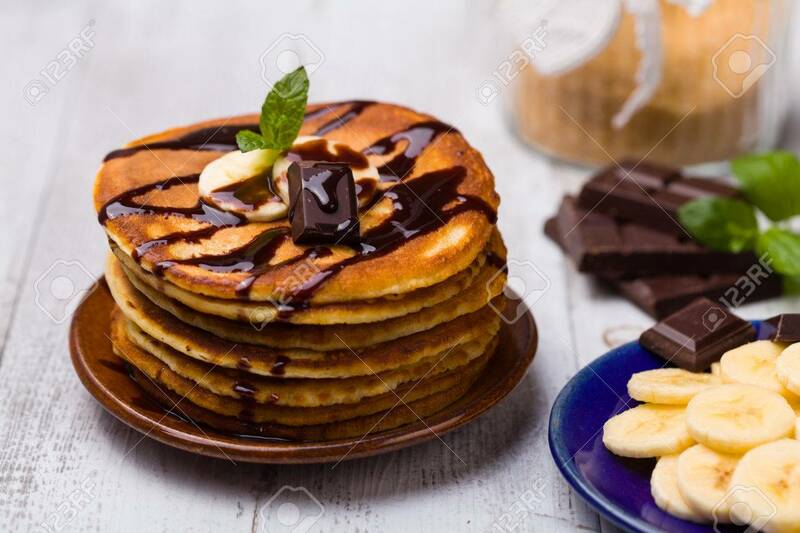 Delicious pancakes with bananas and chocolate.